One of the dilemmas many homeowners face is whether to spend on improvements and repairs or sell the house as is. While some home upgrades offer returns in terms of boosting resale value, other improvements do little to help sell your home. Before making any repairs or planning an overhaul, Orson Hill Realty, a trusted real estate broker in Evergreen, CO, shares a few fixes that can help you seal the deal. Real estate agents will point out that what home buyers tend to remember the most are kitchens. Spruce up the kitchen by resurfacing or repainting your cabinets and adding new hardware for a fresher look. While natural stone countertops are beautiful, they are also expensive. Instead, focus on replacing dull-colored faucets and stained sinks. Upgrade your backsplash for a cleaner look as well. Because the bathroom is one of the most used areas in your home, it’s important to keep it functioning properly and looking spick and span. Replace lime-covered shower doors and covers with new glass. If your bathroom is small, paint its walls with lighter color, install mirrors, and place wall-mounted lighting to open up the space. Freshen up surfaces by applying new grout. Discolored and worn carpeting can be a turn off for several buyers, so have it replaced before putting your home up for sale. Another option is to remove the carpeting and refinish your floors or install hardwood flooring. If you have ceramic tiles, switch out cracked or chipped ones before cleaning and replacing grout. 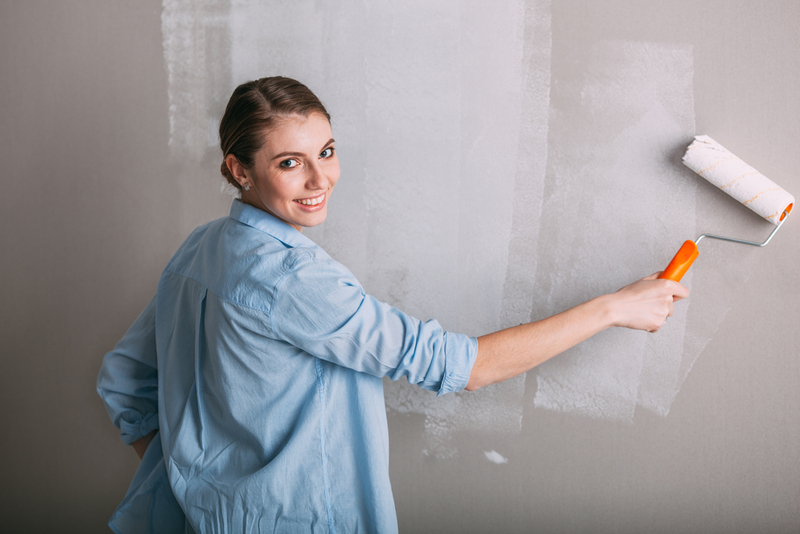 One of the most cost-effective home improvements you can make is painting, so take out your brushes and rollers to apply a fresh coat on walls and ceilings. Choose neutral shades, like white, gray, cream, or light tan, that will appeal to more people. If possible, remove old and outdated wallpapers and have those walls painted over instead. For many homebuyers, curb appeal matters, so pay attention to cracks, damages, and other flaws on your home’s exterior. If your roof needs repairs, get it done right away; it’s a maintenance issue that can significantly affect resale value. Fix any problems on your driveway and doors, and clean up the lawn to make your home look more welcoming. If you need assistance in selling your home, rely on a licensed real estate broker from Orson Hill Realty. With their unparalleled familiarity with the neighborhood and knowledge about the current market, their team of real estate agents can provide the best strategies for selling a property. Call (303) 835-9895 or visit them online to view their real estate listings.